Some people have called it “Really Really Bad.” Others have called it “hideous.” It’s “too Vegas” others have ranted; it’s the “Edsel of architecture,” some have proclaimed. 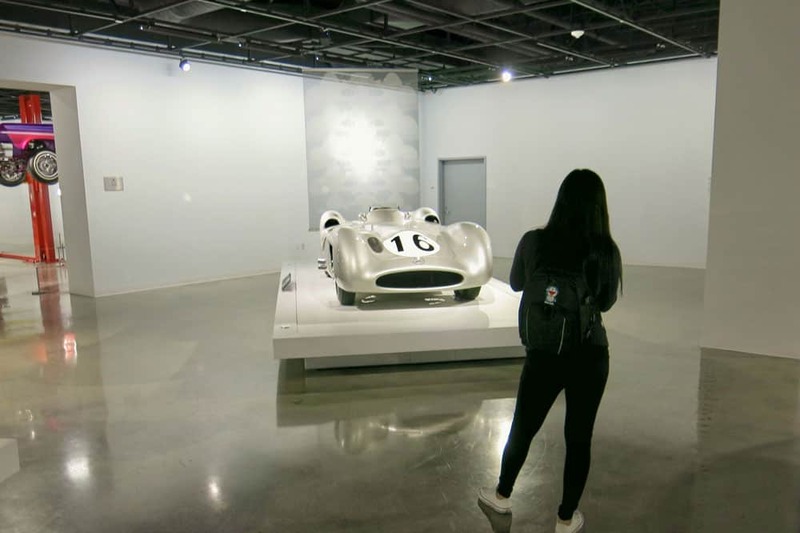 Yet there are those who have been so passionate and thrilled by the new look of the Petersen Automotive museum in Los Angeles that they have termed it as a “bold statement” dismissing those who castigate it for not following the rules of aesthetics and architecture, if any. For those people, that’s the sad part, that there are no rules to design and therefore no rules to architecture. It’s a free and creative world, and everything depends on the eyes of the beholder; fortunately enough, that’s why I love architecture. The lack of a conventional and standardized answer to a problem is an amazing thing, otherwise buildings would all have a conventional design and life would be boring. Kohn Pedersen Fox, the architects, were appointed to improve the existing museum in such a way that the architecture would inspire more people to return to the museum more often. The architects design was intended to evoke a sense of speed and movement. The architects decided to cover the old museum with a new facade while retaining the old building’s integrity and doing no changes on it whatsoever. It’s a story of conservation and renovation. Inspired by the form of a car, the Petersen Automotive Museum’s new body covers the existing museum with a rooftop converted to a multi-functional party space that can also be rented out to the public. A red corrugated aluminium rain screen wraps the old building in an inner shell whose exterior consists of stainless steel ribbons that flow around the building. The ribbons have been painted red as well to relate to the inner shell while joyfully displaying the building’s boldness and relation to the smooth curves of cars. The stainless steel ribbons have been brushed to avoid creation of glare to the passers-by. Like a car whose frame is fitted on it, the new façade has been built onto the old building. For Los Angeles, the building lights up the junction which has a piece of Renzo Piano on it, and a project by Peter Zumthor also coming up a few blocks away. This building doesn’t attempt to achieve the box typologies that are awash on its street. What it does, however, is depict the curves of a Porsche, or a McLaren, or a Lamborghini … somehow evoking the inner child in car enthusiasts. It’s a superficial building and it’s very easy to see why. Look at the Ferrari for example, a car that has it all from speed to absurdity to sheer beauty. If cars are made with such boldness, it’s only fair that the houses that aboard them can show some sense of madness; like the Petersen Automotive Museum.